Roller shades are one of the most versatile and popular designs available. Here, we want to outline four of the most attractive qualities that make this style of shade so favored. Have a look through these points to see if this design is right for your needs. Modern window covers come in all shapes and sizes, but Roller shades remain one of the simplest and most widely recognized forms out there. They offer frustration-free functionality which is great for your daily living, as well as handy if your space receives a lot of guests. 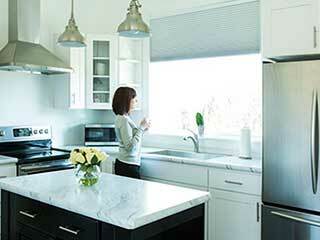 Fabric roller shades are essentially a sheet that has been rolled around a headrail suspended above your window. This simple concept means when the cover is up, it is completely out of the way. By having this style applied to all the windows in your home or work space, you’ll get rid of the need for bulky curtains. You can have this design made using a variety of different fabrics. Some are solid and great at blocking out light, while others are transparent and offer beautiful, soft lighting during the day when the sun is shining. You can even consider having a dual layer sheet. Duel layer sheets give you the option of having a different fabric or color on the side facing out of the window and on the side facing the interior. Match the two different themes of your exterior and interior designs simultaneously! Solar screens can deflect UV rays away from the rooms while still allowing light to pass through. This is fantastic if you want your room to receive a pleasant amount of sunlight but don't want the space to become overheated by the rays of the sun. 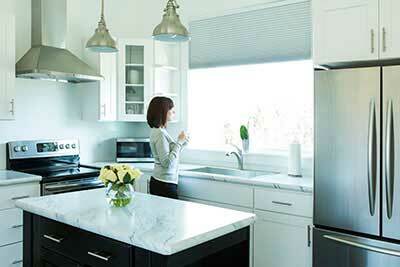 We hope this list has helped you understand the core benefits of roller shades. Now you can search for the perfect set with a better understanding of the features to look out for!